Stunning Location, Backs to 18th Fairway of The Ridge Golf Course! Beautiful Pine Trees & Rock Outcroppings! 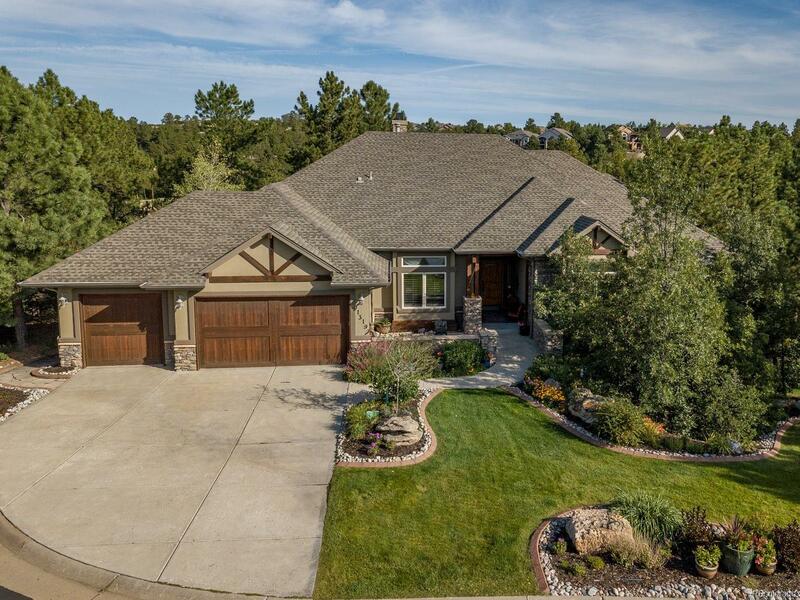 Nestled on a 1/2 Acre, Cul-de-Sac!High End Custom Craftsman Built Home! Handcrafted Woodwork Throughout! New Extended American Cherry Hardwood Floors! Natural Cherry Cabinetry!Gourmet Kitchen with Hearth Room!Double Ovens, Warming Drawer, Pantry, Center Island & 6 Burner Gas Stove!Luxurious Main Level Master Suite + Guest Suite with Private Bath (Total of 5Bd/5Ba) Main Level Study w/ Custom Built-Ins!Incredible Outdoor Living Spaces, Front Yard Water Feature, Back Yard Spa, Fire Pit & Patio! Ranch Style with Finished Lower Level Walk Out! Home Theater Rm, Complete Wet Bar, Large Family Room, Additional Guest Suite w/ Private Bath & Steam Shower, 2 More Bedrooms & Workshop with Separate Entrance!Custom Cabinets in Garage with Hot & Cold Water! Exquisite!